So you did your research, you looked at model homes, you investigated neighborhoods and school districts, you made an offer, and --voila!-- you're a homeowner! This should be one of the happiest days of your life...so why do you feel like driving off a cliff ala Thelma and Louise? Well, it's called buyers remorse and it's as universal as the common cold. Statistics are on your side: 74% of first-time buyers say they like their new home better than their previous residence and 67% of repeat buyers like theirs better. Legally you have 3 days to change your mind and cancel the contract. Right? Nope! But there are several steps within the process where you have the option to opt-out or renegotiate your contract, but after a formal title close and recording isn't one of them. During the buying process a buyer can cancel for failure to qualify for the mortgage financing after a diligent and good-faith effort or based on the reasonable disapproval of some aspect of the home. What consitutes "reasonable disapproval of some aspect of the home"? Read on and find out. Think structural, health & safety. Notice of violations of building, zoning, fire or health laws. 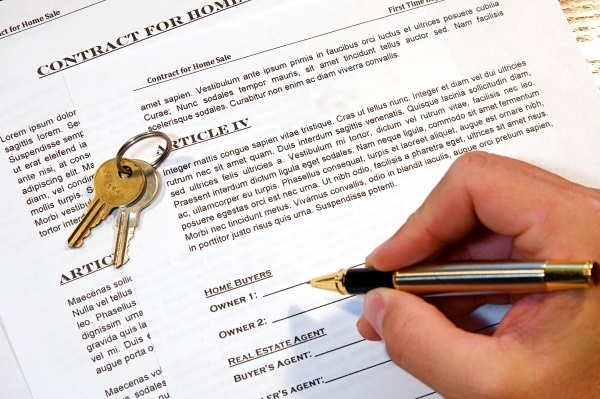 The Seller's Property Disclosure Statement. The best way to prevent (or at least mitigate) buyer’s remorse is to prepare yourself in advance, long before you ever sign on the dotted line. Discuss the process and all your purchase options with your real estate professional before you make an offer. During the process you will see times when you have options to move forward, withdraw your offer or re-negotiate. When buyer’s remorse hits, as it surely might, remind yourself where and why you wanted to continue to buy a house in the first place. Then pop open the bubbly and congratulate yourself! 1) Price. We tend to think of the listing price as being the proper price, but this isn't the case. You have to think about what is a good price for you and what value really means to you. The key is to be flexible depending on what research your Realtor provides you. 2) Earnest money. This sum isn't set in stone, but is often 1%-2% of the sale price. More earnest money down will be viewed as more favorable by the seller and their rea estae professional. 3) Down payment. There are many finacing options from no money down to more than 20% down. But understand when going against other possible offers, more down looks better than less down. 4) Closing Date. It's importnat to work with your real estate professional to determine a good closing date for both you and the seller. If you can offer flexibility to satify a sellers needs, it could swing your offer into favor. 5) Lender. Getting pre-approved for a loan and who you use to get approved is very importand. Using online or out-of-state sources is often a red flag to listing agents as these lenders may not be as familiar with our states requirements and could leave you vulnerable. It is recommended you use a local and credible source. 6) Possession Date. It can help enormously to find a reasonable possession date that benefits both you and the seller, even if this means needing to include a rent-back agreement. 7) Inspection. To ensure the home you are buying is a good sound property, it is critical to get a professional inspection. Your real estate professional will help in best understanding what items of most concern or need attention to close. 8) Appraisal. An appraisal will be requested by your lender as soon as possible and may need to be another point of negociation to ensure closing. 9) Concessions. Sometimes a buyer may request the seller help with their costs at closing. This is not uncommon for first-time home buyers that may have limited down payment funds, but good credit and annual incomes. This concessions may include a variety of the buyers closing closes. Your lender and real estate professional can help you best understand your options. 10) Crediiblity of both you and your agent. Sellers and real estate brokers like to deal with people they like. If a seller or realtor has concerns about working with a specific person or their professional, they may choose an inferior offer to avoid a contentious transaction process. If you or anyone you know is looking to buy, sell or invest in real estate and values good representation, not just "famous" or "large" agencies, give us a call or email. We look forward to sharing with you the personal and focused advantage.